Offering more fiber and nutrition, brown rice appears healthier than normal white rice, but takes longer to cook and needs more water than normal rice, right? 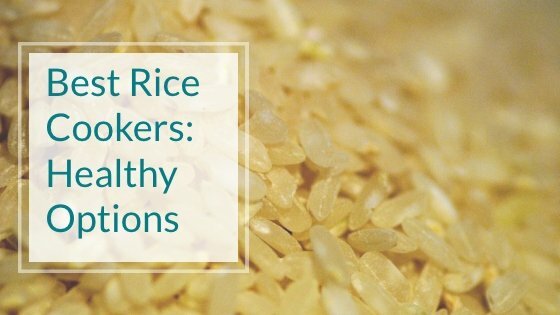 Having a rice cooker that automatically deals with these nuances helps take away the hit and miss of superbly cooking brown rice that your family will enjoy. 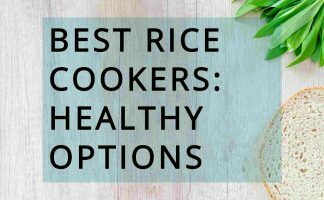 This article covers the ins and outs (including healthy choices) of some of the best rice cookers offering an automated function for cooking rice. So What’s The Best Rice Cooker For Brown Rice? What’s the best rice cooker for brown rice? An intelligent ‘brown rice’ function and a good inner pot define the best rice cooker for brown rice that you’ll enjoy every time. Look for an automated rice cooker with a smart ‘brown rice’ function. How to cook brown rice in a rice cooker? Cooking brown rice in a rice cooker couldn’t be simpler than when you are using a unit that has a ‘smart’ function for cooking brown rice. You just use the measuring cup supplied to gather (how ever many) scoops of rice into the pot, then fill the pot with water to the matching level. Turn the rice cooker on, select the brown rice option, and away you go. Most have a keep warm function as well and some feature technology to improve the flavor and nutritional value of the rice. Consider the inner cooking pot. Is it a healthy choice of material? Is it easy to clean? 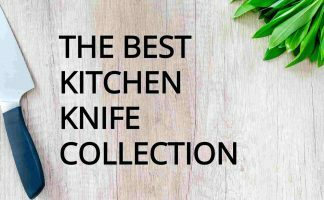 Having direct contact with the food, the material of the inner pot matters if you are looking for something easy to clean or for a choice in cookware that’s healthy for you and your family. The inner pot material can comprise stainless steel, aluminum, ceramic, or comprise a nonstick PTFE (polytetrafluoroethylene) type surface, depending on the brand and model. The following looks at rice cookers with self-adjusting functions for cooking brown rice. It also considers the inner bowl material and notes any other worthy features, as well as summing up the cons and benefits of each of these programmable rice cookers. This programmable rice cooker makes up to 12 cups of cooked rice, which is great if you plan on entertaining at some stage or have a large family setting on occasions. It has a lightweight ceramic inner pot, that is easy to clean. 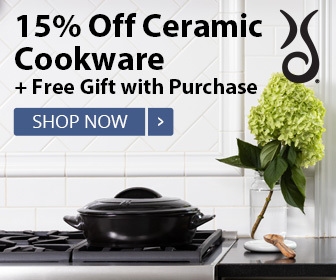 This pure ceramic material is a healthy choice, with no heavy metal or other contaminants to worry about health wise, with being transferred from your cooking pot to your food. It has a separate brown rice function. Depending on the amount, brown rice will to take between 38 and 45 minutes, roughly, to cook. This rice cooker comes with a steaming tray, a rice measuring cup, a soup ladle, as well as two rice paddles, one plastic and one bamboo. Cons: Some might find it hard to read the digital rice cooker screen. For those that love sushi, there’s no separate sushi rice option in the menu settings. Benefits: It offers a healthy and natural alternative to the rice cookers with metal inner pots and nonstick coatings. This unit has a keep warm function and is a multifunctional cooker. It even has a convenient handle. It’s a pretty good price for what it offers. Look for savings on Amazon, where you can also check out the reviews by verified owners. The Zojirushi Rice Cooker is made in Japan. It can make up to 20 cups of cooked rice, so is even better for extended family gatherings or for those who like to entertain, e.g., during the festive season or for celebrations. It uses Micom fuzzy logic technology to cook brown rice with little effort. This unit has a ‘Umami’ setting to soak and steam rice longer to enhance the flavor of the rice. According to the Merriam-Webster dictionary, Umami means savoriness in Japanese. It refers to the “fifth basic taste – alongside sweet, sour, salty, and bitter”. For brown rice, rather than choosing Umami, choose the ‘GABA Brown‘, which is a specific setting to enhance the flavor and nutrition of brown rice. If you are a fan of the Zojirushi brand, this model offers savings on electricity. It uses about half the power (610 watts vs 1,230 watts) of the NP-HTC10 model, which features the pressurized technology and the Zojirushi induction heating system. The inner pot is metal with a nonstick surface, so make sure to use non-metal utensils and keep things like sharp knives and abrasive cleaners away to avoid scratching the surface. Though not clearly stated for this item, the nonstick coating appears to be PTFE and this fits with Zojirushi’s statement that their “nonstick coating is made using PTFE” regarding its other products. Cons: Be aware of the issues of wearing of the nonstick coating over time and about caring for PTFE (or Teflon). Benefits: Being nonstick, the inner pot should be easy to clean, at least as long as the nonstick surface is retained. The biggest thing — This Japanese rice cooker features a ‘Brown’ as well as a ‘GABA Brown’ setting for cooking brown rice. The GABA Brown feature aims to increase the natural occurring gamma-aminobutyric acid (GABA) in brown rice that is thought to provide health benefits that includes lowering blood pressure, improving kidney function, and relieving stress. With the GABA function, the unit soaks the brown rice at 104°F for 2 hours before it attempts to cook rice. This results in rice cooked to enhance its goodness and flavor but also the cooked brown rice is soft and fluffy. (It might just change your family’s thoughts about eating brown rice.) See the reviews by verified owners on Amazon. This is more than a rice cooker. This unit has 16 functions, including pressure cooking and steamer. Made in China, this unit is relatively cheap to buy for the range of cooking functions it offers. As a rice cooker, it includes a ‘brown rice’ setting. It uses micro computerized fuzzy logic technology to self adjust the cooking temperature for perfect rice to serve. The rice cooker has a stainless steel exterior. The inner pot is nonstick with a PTFE coating. So, avoid using metal utensils, vinegar (as it can also damage the coating), and abrasive cleaners. Cons: While the unit comes at a good price, be aware of the issues in nonstick coating wearing over time and about PTFE (or Teflon). Benefits: Not only a rice cooker — this unit also functions as an electric pressure cooker. As well, it has a keep warm setting and a reheating cycle. Other benefits: Being a nonstick pan, the removable inner pot will be easy to clean for as long as you care for the nonstick surface and it remains intact. The cooker has a preset timer and a delay start function to help you with meal planning. See what real owners on Amazon have to say. Another Made-in-Japan Zojirushi Micom rice cooker. This unit is smaller than the one mentioned above and naturally a better price. It makes up to 11 cups of cooked rice. It’s does not have the extra functions of a multifunctional cooker. Features include a retractable power cord. Among the menu settings, this unit has a brown rice function. It uses an advanced Neuro Fuzzy logic technology to automatically cook delicious brown rice. With this menu setting there is an extended preheating time to help with the absorption of water. The cooking temperature is lowered with a longer cooking time so that both the hard outer bran and the inner part of the rice grains are cooked perfectly, without a soggy, gummy, mushy, or sticky result. The inner pot in this Neuro Fuzzy rice cooker is made of aluminum with a nonstick surface that appears to be PTFE. Once again, avoid using metal utensils, vinegar (as it can also damage the coating), and abrasive cleaners. Cons: Be aware of the issues in nonstick coating wearing over time and about the concerns with PTFE (or Teflon). Benefits include an automatic keep warm along with an extended keep warm and reheating cycle. This is another one that should be easy to clean as long as you care for the nonstick surface and it remains intact. This product also has a delay timer with two settings that can help with meal planning. See the verified owners reviews. This unit uses intelligent microcomputer control and advanced Fuzzy Logic technology. Has a ultra non-stick easy-clean pan and includes a setting for brown rice. The cooking surface (inner pot) is made with a nonstick diamond fluorine-coated surface that the manufacturer claims “can be brushed up to 100,000 times”. What is ‘diamond fluorine’? Probably the best explanation is this: ‘Diamond fluorine’ is a type of polytetrafluoroethylene (PTFE) nonstick coating that has a special finish, defined by the manufacture as a ‘Japanese-crafted diamond finish’ to make it more resilient. Cons: The shape of this one makes it a bit bulky. Some users claim the ‘keep warm’ function tends to dry the rice on the surface rather than just keeping it warm. So you may need to watch this and add a bit of water as needed or avoid using the warmer for a long duration. Benefits: The inner pot of this rice cooker should be easy to clean, being nonstick, as long as the nonstick surface remains intact. Also, it is a multi-cooker with other options that include slow cooking and steaming, as well as baking cake and bread. Check out the reviews by verified owners. Some computerized rice cookers are calibrated for cooking 2 cups of rice. You may need to adjust for 1 cup, but what I would do is cook the 2 cups and then store the extra in the refrigerator for later use, for example in a quick fried rice dish. 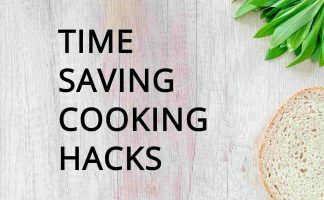 (Cooked rice can go off, so always make sure to store correctly and use within a day or two of cooking — here’s a helpful article on cooking and storing rice).